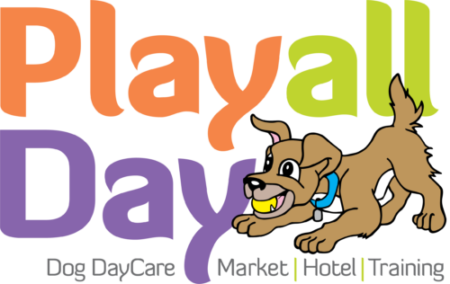 Play All Day has been so fortunate to work with Ann Goyen of Alliance Pet Behavior over the past few years. Ann held training classes at our facility and has proven to be an excellent resource for our staff and our clients. Her expertise in dog behavior has been invaluable. This summer, Ann decided to retire. We will miss her. All things change and you must be ready to roll with them or get run over. 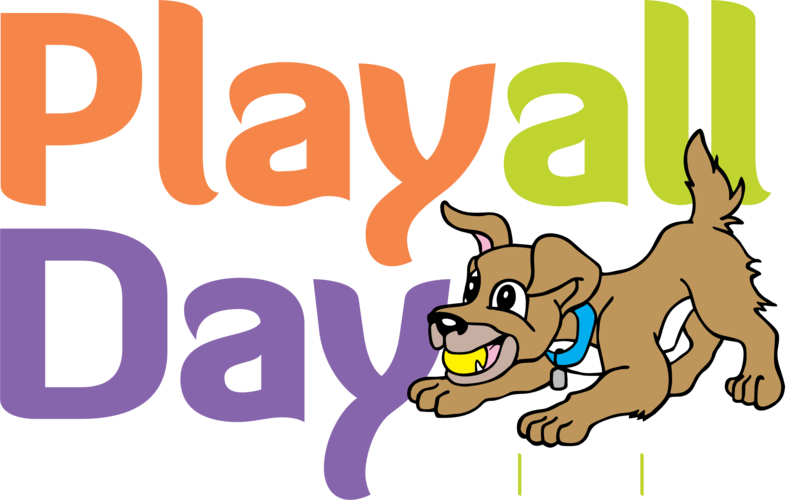 Fortunately for us, one of our daycare clients has a great interest in dog behavior and training and has been mentoring with Ann for the past year, and has been working at Play All Day on a part time basis. 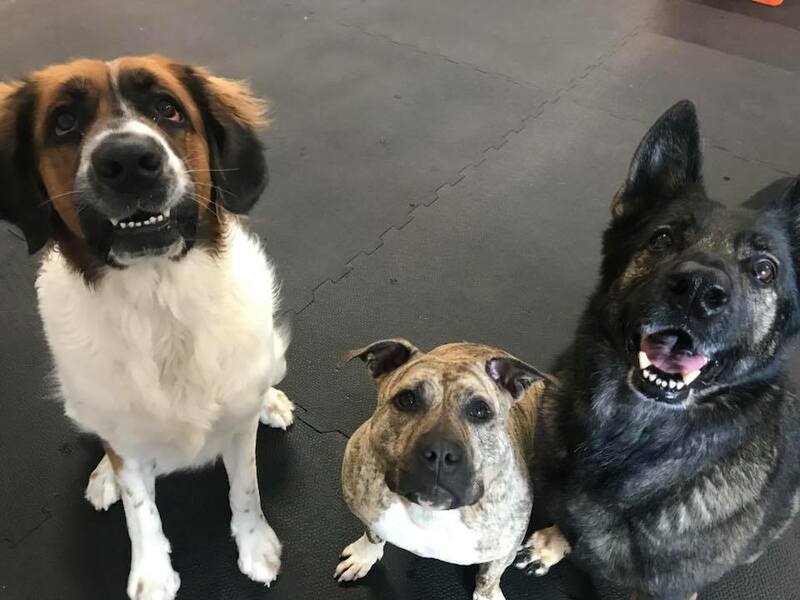 Brandi Stark, owned by Sage the German Shepard, is going to fill our training position at Play All Day and we are thrilled that she is doing so. Brandi is new to this world and while very capable and an excellent trainer, she is just dipping her toes into the world of teaching classes. For that reason, we are going to start slowly with classes and build up our offerings over time. Ann and I both plan to serve as mentors. Brandi and I met recently to discuss the curriculum and structure of her first class. Setting expectations up front is so important. People often tend to think that one session of classes over 6 weeks will solve all of their problems. It just doesn’t work that way. We discussed how best to set the expectations and what do people want and need the most from a beginner level training class. And the one topic we kept circling back to the most and the one topic that resonated with us the most was “relationships”. When you look at dogs that you admire…dogs that really seem well trained, step back and consider the relationship between that dog and its person. Chances are, you will see a very strong relationship, a relationship built over time and a relationship built on trust. I am seeing this first hand as I am in the process of building a relationship with my new puppy Cygnus. Every day, as our relationship strengthens, he is more in tune with what I want from him. And I am more in tune as to what he needs from me. I love to learn from different trainers. Recently, I’ve been following Susan Garrett. Susan is a world class competitor in Dog Agility. I’m really not that interested in Agility but I do know that to be as good as she is, her dogs really need to stay focused on her. For me, focus is very important, as I do many things off-leash with my dogs. I need to know that they have an eye on me and will come when called. I recently discovered that she teaches her dogs through a series of games. For all of the desired behaviors, she has developed a game that teaches and rewards the behavior. I’ve been using her games for Cygnus, and I must admit that it is the quickest any of my dogs have learned and he is the most enthusiastic learner. He is brilliant, but I’m thinking it’s more related to the methods than his superior intellect (sorry buddy). These “games” make me very interesting. With other methods I’ve used, my dog tends to get bored after they learn a behavior. With this type of training, it’s always a game so Cygnus always wants to play. It’s kind of like covering your kid’s vegetables in cheese…the cheese tastes so good, they don’t know they are eating broccoli. And talk about building a relationship. Through our game playing, daily care of, feeding, potty breaks, and cuddles, my bond with Cygnus is already very strong. It made me stop and think about what really does build a strong relationship with a dog. I think it really comes down to a few things. Spending time together in which I am focused on him. Trust that I have his needs covered and that I will be fair in our dealings. I’m as interesting as or more interesting than the other things in his life and he rewards me by staying focused on me. We BOTH have fun! I really do feel that a strong relationship with your dog is the cornerstone of having a well-trained and responsive dog. For this reason, building relationships will be a focus in our training classes. Yes, we want your dog to know how to sit, down, and come, but we want more than that. We want your dog to love learning and for you to enjoy teaching. No class can teach you what you need in 6 weeks, but it can be the foundation of a lifelong relationship that continues to grow. Why bother putting the time and effort in building a great relationship with your dog? These pictures are the answer. You, too, can have a great time with your dog, whether it be off-leash hiking, canoeing, swimming, boating…it all starts with a relationship.